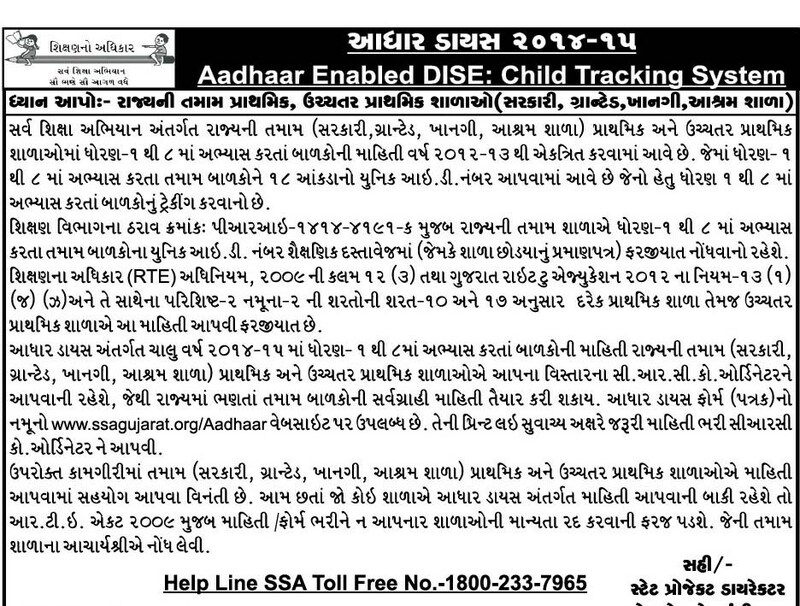 Gujarat State implemented Aadhaar Enabled DISE – Child Tracking System for collection of Student-wise information for Elementary Schooling of Class I – VIII since January 2012. 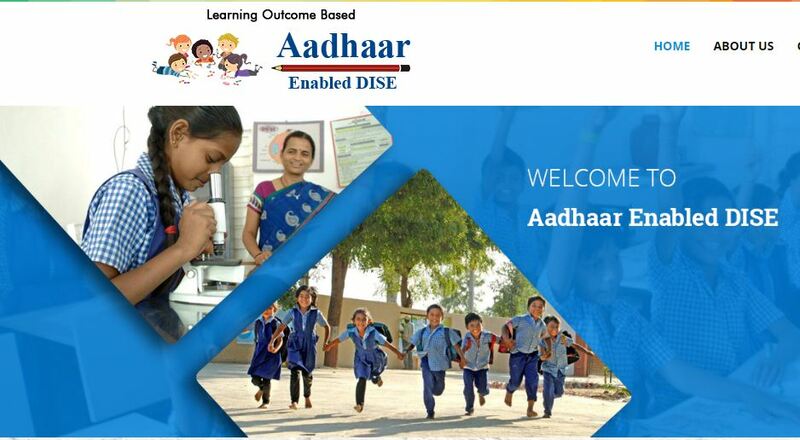 Aadhaar Enabled DISE is deployed with a concept adopted from UIDAI to build database of students along with child wise record with Student Name, Parents Name, Date of Birth, Address, incentives & benefits received from Government. The same database use by State to conduct child wise evaluation under Gunotsav program. Each year, existing records are being updated and new entrants in Class I are being entered under the system. Under this system, annual child-wise records would be maintain with the student’s name, birth date, details of parents, address and incentives or benefits receive, if at all, from the government. It call Aadhaar-enabled District Information System for Education (DISE).